Lineup: Christine Lewis (cox), Connor Lund (stroke), Thomas Dickovich (7), Doug McCune-Zierath (6), Seth LiaBraaten (5), Ian Gordon (4), Alex Martin (3), Andy Schmitz (2), and Jacob Bierman (bow). In this final-only event, the Minnesota Development athletes shot out of the gate with an enchanting start sequence, landing into race racing of about 37 strokes per minute. The crew began to pull ahead at about the 400 meter mark, gaining additional margins with each stroke. Lineup: same as the Men's Open 8+. A "dash" in rowing is a 400 meter cage match to the finish line. Lasting about a minute and 20 seconds, the crew's objective was reach a stroke rate higher than the cadence of a 2000 meter matchup, all while maintaining powerful drive speed. Lineup: Connor Lund (stroke), Thomas Dickovich (3), Jacob Bierman (2), and Alex Martin (bow). A quad is a sculling boat that houses four rowers, steered by the bow seat's steering cables connected to the boat's right shoe on the foot stretcher. The Minnesota Development quad clawed its way down the course alongside a Minnesota Boat Club boat, gaining the edge with a few hundred meters to go. Lineup: Ian Gordon (stroke), Thomas Dickovich (bow). 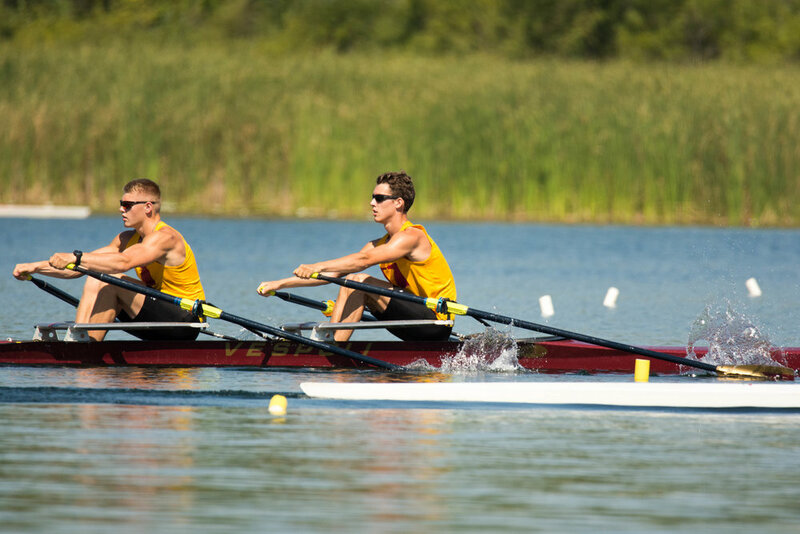 A pair is a boat that requires a tremendous amount of boat feel and coordination between rowers, as they try to reproduce identical movements as the other. The boat is steered identically to a quad- a steering cable controlled by the bow's foot. This duo in particular was especially hungry for gold. Lineup: Connor Lund (stroke), Alex Martin (bow). The (nearly) lightweight double had found its calling after rowing the Minnie rigged as a pair for more than a year. 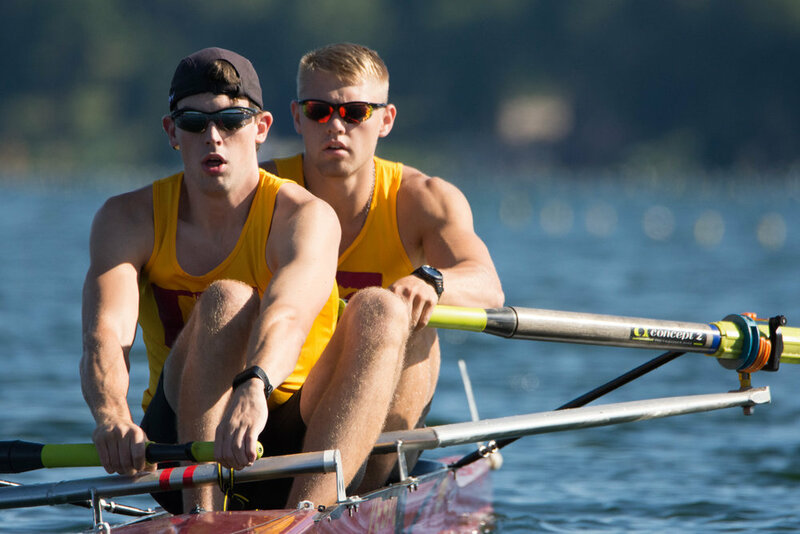 Advancing from the heat, the Minnesota U23 double won gold on Saturday evening under a collage of hot air ballons fanning the sky over the lake. The regatta concluded on Saturday night with a banquet and award presentation of individual trophies and medals.